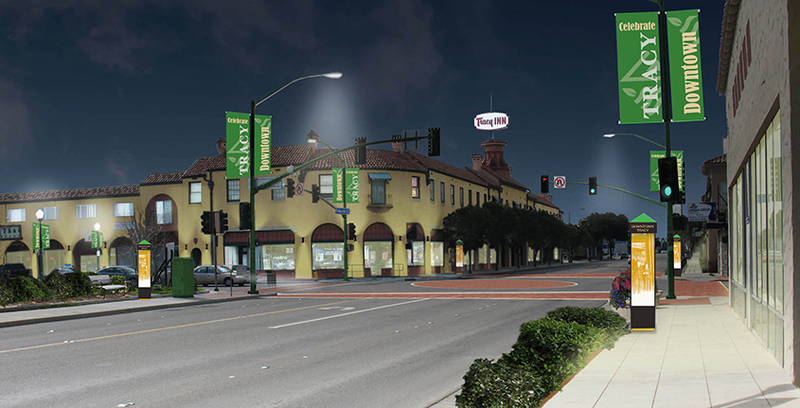 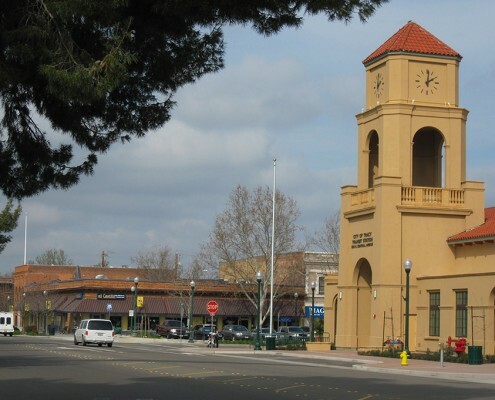 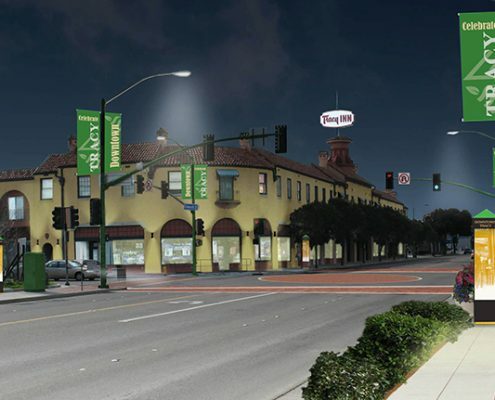 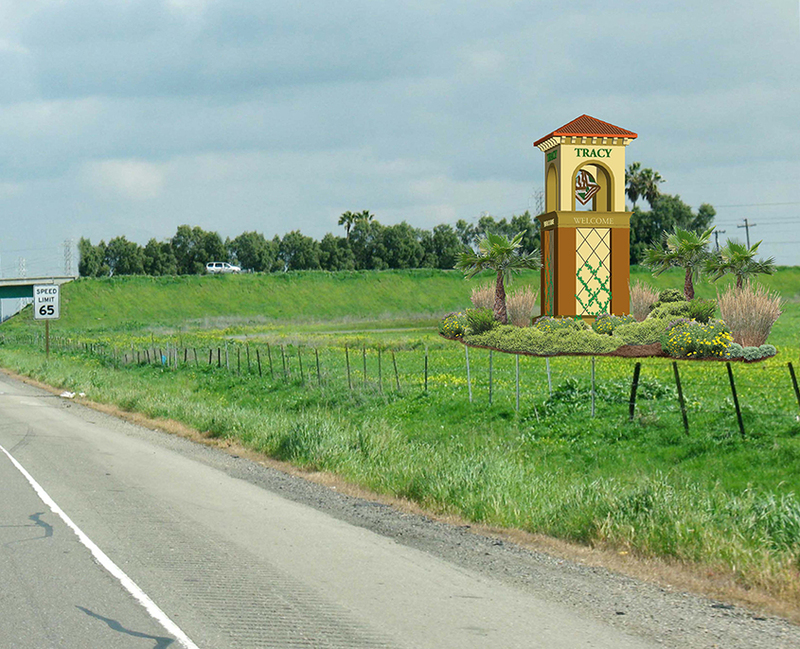 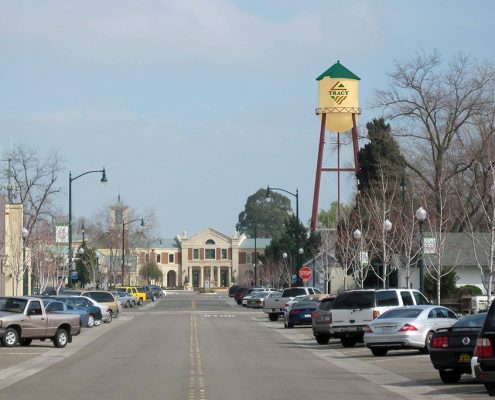 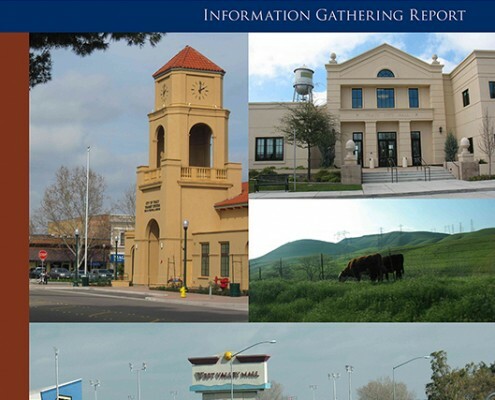 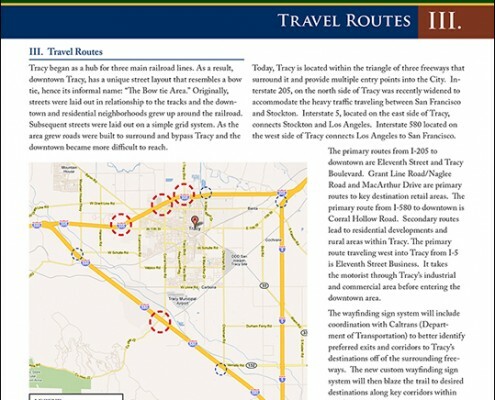 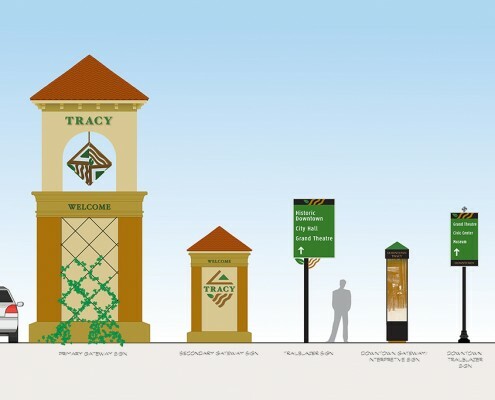 In this project for the City of Tracy, California, Frazier Associates designed a comprehensive wayfinding sign system. 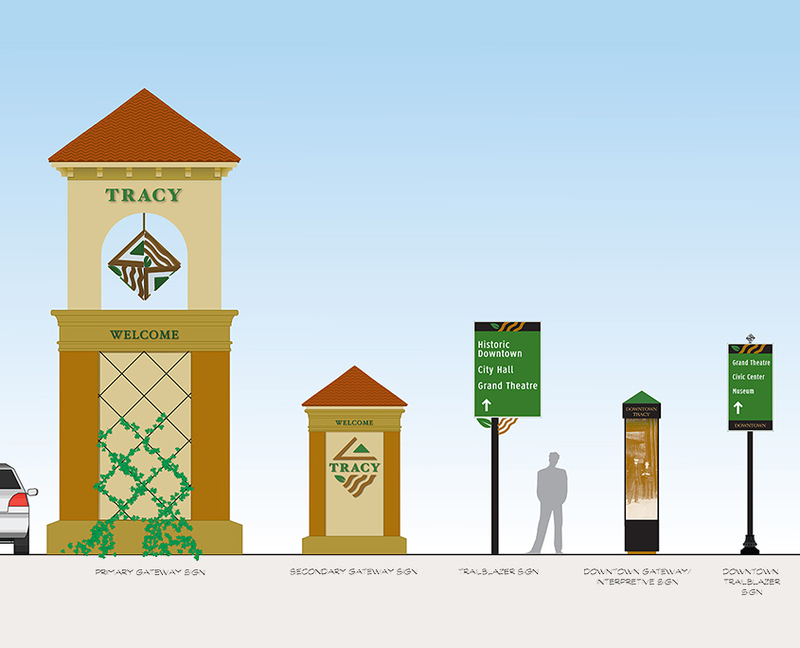 Teaming with representatives from the Tracy community, the Frazier Associates design team created a sign system which reflects Tracy’s “Think inside the Triangle” tag line. 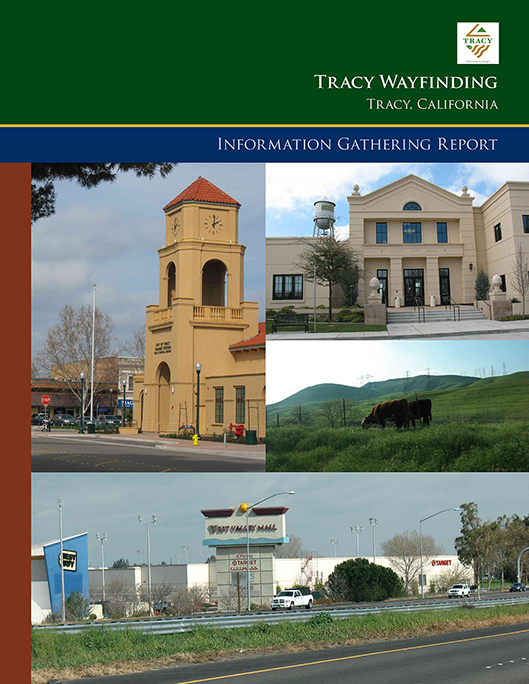 This tag line and the Tracy logo are part of a recent branding initiative. The triangle motif lends itself to the Tracy brand and is reflective of architecture found within the town. 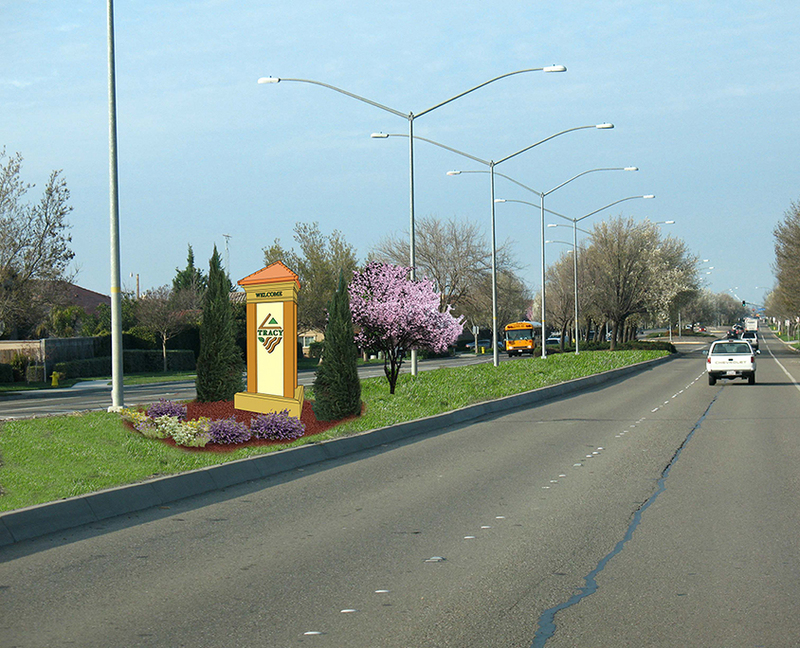 Further elements of the logo are used to enhance the Trailblazer signs. 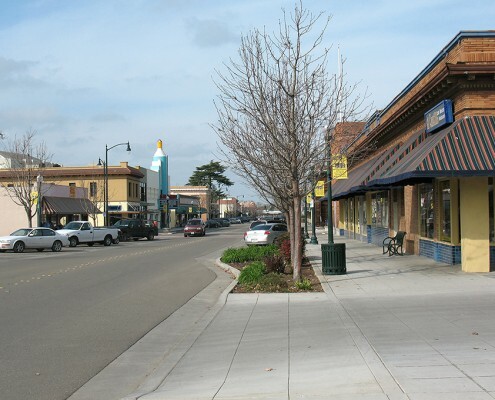 The combined effect creates consistency when visiting Tracy from “Website to On-site”. The design process began with an information gathering phase that included an assessment and inventory of current signage as well as community input on wayfinding and branding issues. 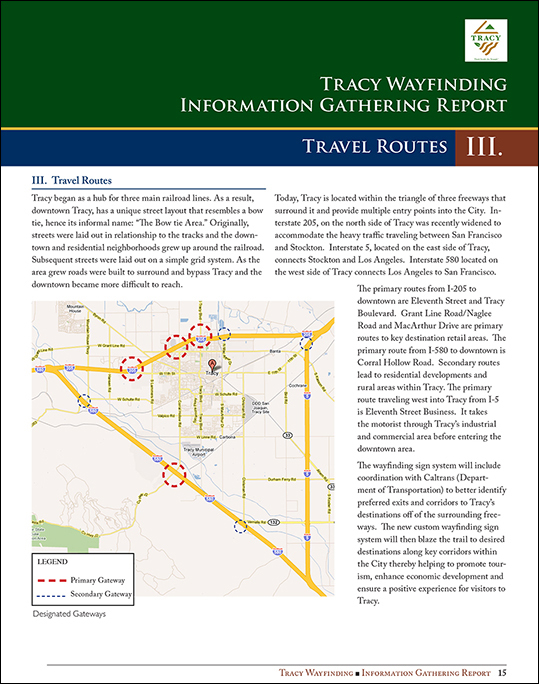 The resulting data was compiled and presented in a report the team used as an anchor for further development of the wayfinding system.